Description: Aditya Hospital is a homeopathic and healing centre, which has been into medical services since last 30 years with its branch established in Pimpri area. It hails being world’s first hospital that admits emergency, life threatening and acute cases, which are treated solely through homeopathy. This hospital doesn’t use any injections, ICCU or saline. This hospital focuses on providing a healthy and family environment to help them heal quick. with an additional facility of on-call doctors available in addition to the list of medical services. Not simply homeopathic treatment, but at Aditya Hospital, doctors provide tips on maintaining healthy diet and necessary exercises to improve one’s lifestyle. In the coming time, this hospital plans to have an OPD functional 24×7, increasing their bed-number to 100 beds, conducting free homeopathic camps, publishing magazines related to health-care, and many more to add to the list. At present, the hospital has 80 beds to serve, and the hospital has close-up camera system to keep the patients under doctor’s supervision throughout. 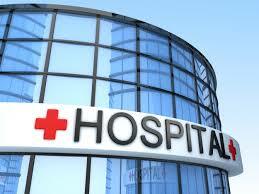 It specializes in gynaecology, obstetrics, cancer treatment and gastroenterology. It also has an established department for surgery with a dedicated team of experienced surgeons. The services are available for 24×7 for its patients. Addres : Ashoka Nagar, M. A., 2nd Floor, Above Hotel Nisarga, Kharadi by Pass, Chandan Nagar, Pune-411014.